Our csgo rank boost is provided by professional players. We have over 30 boosters with global elite rank on their main accounts working under contract. That guarantees a 100% legal service in really short time. We have done more than 20000+ orders in 5 years. We have many CSGO boost options like Solo/Duo Rank Boost or Win Boost. All the matches are played vs real players without using cheats, we don't use bots(vertigo boosting) to boost accounts. CSGO Boosting - How it works? Choose your Boosting Option, select your Current Rank and Desired Rank/Wins number. Click button "Pay with G2A/Paypal". You will get redirect to checkout page where you can choose your payment method and complete the payment. After succesful payment Click “Go back to the seller’s page” and you will be redirected back to our form, where you should give us login and password to your account or in case of Duo/Lobby boost only contact information. Now you can just wait for our boosters to contact you on Skype/Email and start your boost! CS:GO Boosting - You are purchasing a guaranteed csgo rank boost. Choose this option when you wish to be boosted for at least 1 rank. Booster plays on your account or with you in lobby until he reaches desired rank. Solo Boost - We will play from your account(your steam account informations like login and password will be required). Duo/Lobby Boost - You will be playing with our professional boosters in one lobby. CS:GO Win Boosting - Great option to buy only a few games, test us or play duo with booster. It's guaranteed wins that means every lose is equal to +1 win. For example if you will purchase 3 wins, booster will win 2 and lose 1 he will need to win 2 more games instead of 1 to finish the order. CS:GO Placement Matches - The first 10 competitive matches in CS:GO are very important for your future rank. Let our professional CS:GO booster play them to achieve the best possible rank. If you have a new account and need to level to Private Rank 2 to be able to play competetive matches, we can do it for you simple select extra option “Private Rank 2”. Now you can just log out from the account and wait for our boosters to contact you on skype/email. We start almost every boost immediately (in max 1h after payment). It's guaranteed by our fully automated system. How long will you work on my account to get my desired rank? It depends on a few things that we have no control under such as the size of your order and your MMR. We usually do 1-4 ranks/7-14 wins per day excluding higher ranks. No. Our boosters are skilled players with Global Elite rank and hltv.org profiles who don't need cheats to complete the order. That's why this is 100% legit. Are my Steam Items protected? If you are worried about the security of your steam items, please be aware that the booster will log into your Steam account from a new location, and that will give You 7 days protection. That means the Steam trade / market is CLOSED for us. Of course not! You can't get ban for using our csgo boosting service, because we are 100% safe and don’t use cheats or any other third-party software. Can I pay different method than PayPal? We offer you many ways to pay for our service. Most of the customers pay by PayPal but you can also pay by PaySafeCards, Skrill, Credit Cards, Alipay, Bank Transfer, Steam Skins, Bitcoins, G2A Wallet and more. It's all included in G2A pay method. We usually start CS:GO Rank boost in 15 minutes to max 1 hour after purchase. Up to 4 ranks or 12 wins per day! We boost very fast. Our boosters can make up to 4 ranks/12 wins per day! Our CS:GO Boosters are ex-pro players who can boost without using cheats. You are getting only our time to help you with your gameplay in CS:GO. There are a lot of different ways to pay for our service. We cooperate with g2a, that means we use their payment methods. That inculde: PayPal, PaySafeCards, Skrill, Credit Cards, Alipay, iDEAL, Bank Transfer, Steam Skins, Bitcoins, G2A Wallet and more. We can refuse service to anyone. Read the FAQ before you decide to make an order. Most of the questions about csgo rank boost are answered there. Playing competitive games during boosting service is prohibited and can end in cancellation of your order without refund. Remember that if you are about to cheat us (ex. charge back the payment) we are reporting your account to Valve support. That leads to permanent ban of your account. In Duo/Lobby you can play only with us until order is done, playing solo without our boosters can end in cancellation of your order without refund. 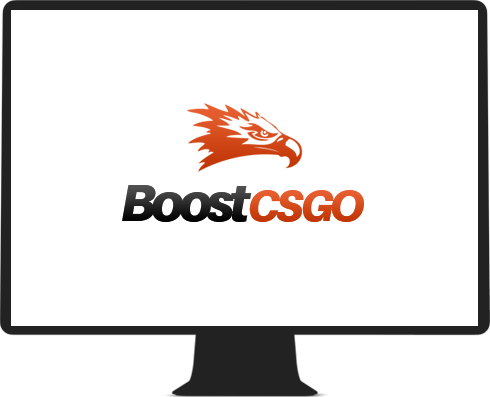 If our boosters offer you service that BoostCSGO.net provides, without using the website(private boosting) and you have proof of that – please contact us and we will make sure you get an appropriate reward for that. All opinions about our cs go boosting can be found on our facebook fanpage, steam group or G2A. Check our reviews they speak for themselves! Really quick and clean service. They were really nice and patient through the whole process. I really recommend them. I can vouch for BoostCSGO.net. They were easy to deal with and did what they said they were going to do. There's a lot of scammers out there so you need to be careful with who you can trust, and there was never an issue with these guys. Really honest and communicative! Trustworthy, would use again. BoostCSGO.net provided me with great service, they answered my questions quickly and took no time in the boosting process. Would definitely come back. Excellent service, delivered very fast... Would definitely recommend this service to anyone. We start boosting within 1 hour after receiving the money and we are fast. We only need 3 to 4 hours for 1 rank. Our boosters are not random guys! They are ex-pro players with many years of experience who can boost you up from silver to the global elite in a really short time. Our payment system is really easy to use and friendly to a customer. You can do the purchase in 3 minutes and we are ready to start! Do you have any questions? Our Support is ready to answer! We answer for every mail within 1h and on Skype in 15min. CSGO Boosting is provided by our global elite players without using cheats or bots. That's guarantees a 100% legal service in really quick time! Faceit boost is provided by our pro players(Level 10/3000+ elo/FPL/FPL-C players). In this option we can boost your faceit level or elo on popular league Faceit. ESEA boosting is an option where we can boost your ESEA Rank up to Rank A+. Our professional boosters are top level players that achieved G or S rank on their main accounts.